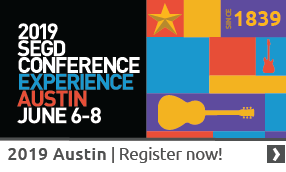 SEGD San Diego in partnership with VR/AR Association of San Diego invite you to experience the newest in interactive mixed reality technology at UCSD's Center for Research in Entertainment Learning. You will get to play with interactive media start-up Zuzor's exciting tech first-hand, and discover opportunities that will change the way we experience environments. Zuzor's founder, Tammuz Dubnov, will lead us in presentation, discussion and exploration of extended reality technology and its impact on the future. Designers will get to experience new cutting-edge technology at the Extended Reality Lab at UC San Diego and learn how they can incorporate graphic assets into new interactive experiential software. 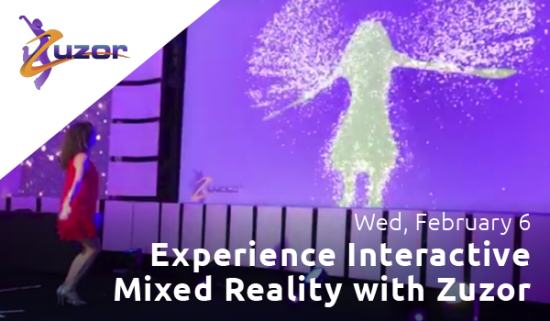 AR/VR specialists and enthusiasts will experience Mixed Reality and discuss how augmented/mixed reality technology helps evolve our intuitive interactions with virtual objects and spaces. The event will explore growing demand for interactive and XR technology in various industries and how we can join forces to meet the demand as well as explore the future through new technologies. *This is a FREE event. Please RSVP so we know how many to expect. 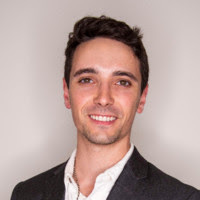 Tammuz Dubnov is the founder and CEO of Zuzor, an experiential technology startup. Combining his technical background and artistic capabilities, he helps venue designers (Retail, Hospitality, and Entertainment) and audiovisual professionals build interactive, immersive environments for their clients' brands and guests. Tammuz graduated at the age of 18 from UC Berkeley with Honors in Theoretical Mathematics, Computer Science, and Dance. Being a professional dancer and circus aerialist, he initially entered the experiential world by building the technology for his own performances. You can learn more at https://segd.org/tammuz-dubnov or https://youtu.be/hfTV_J5iI2w.